Are There Alternatives to the IITs? It is important for parents to know that the IITs are not the only places worth studying in – and any time someone in the top 1,000 ranks decides to study outside the IIT system, it strengthens that message. I have a good [Joint Entrance Examination (JEE)] advanced rank, and can get a good combination of program/institute. But I also have admission offer from another top place, both within India and abroad. What should I prefer? One issue is that of foreign universities, both US/Canadian, as well as places in Singapore, HongKong, etc. The other issue is that of choice within India – Indian Institute of Science (IISc), Indian Institute of Science Education and Research (IISER), Chennai Mathematical Institute (CMI), Indian Institute of Information Technology (IIIT; particularly Hyderabad and Delhi), Ashoka University, etc. First of all, I am extremely pleased to see that a couple of students from within the top 500 have declared that they are not going to join the Indian Institutes of Technology (IITs). One of them is going to the US to join the University of Pennsylvania. He has a rank of 10 and could have done a combination of computer science and physics in any IIT. The other one is going to join the Chennai Mathematical Institute. He has a rank of 446 and could have got admission to any of the mathematics and computing programs in any of the IITs – the same program that he is going to study in CMI. I am also aware that, every year, some students who couldn’t get admission to the old five IITs in computer science have been joining IIIT Hyderabad/Delhi instead of going for the newer IITs. Of course, many prefer IISc (Bengaluru) and a few even to IISERs for science programs over the science programs in IITs. At below 3000 ranks, students start considering other places, which will give them a discipline of their choice, including BITS, IIITs and the National Institutes of Technology. I think it is important for parents to know that the IITs are not the only places worth studying in, and any time someone in the top 1,000 ranks decides to study outside the IIT system, it strengthens that message. Eventually, if we start taking alternatives seriously, the stress of JEE will come down and it will be a great thing for society. I digress. Let us return to the issue of foreign universities. There are multiple parameters that we need to consider. On the positive side, any of the top 50 (or even more) US universities would have a better teaching-learning experience than any IIT. You can choose your courses. You can choose your major/minor. You can do multiple subjects. The infrastructure will be better. The faculty interest in teaching is likely to be higher. The quality of teaching assistants will be better. And so on. On the negative side are a couple of issues. The primary one is cost. It is just too expensive and unaffordable for most, and I am not in favour of taking a large loan for higher education that will force you to take up immediate job, and that too abroad, to repay that loan. The second reason is cultural. Most 17-year-olds in India have had no freedom at home. They have had very little exposure to different cultures even within India. And then there is the doubt as to whether such persons will be able to adjust quickly enough in a foreign land. But of course, if you have family and friends near the place you are considering, who can help you settle in the beginning, this reason will not be very important. A reason related to costs and returns-on-investment is that, while the quality of education in IITs may not be as good as many of the foreign universities, the membership of its Alumni Association is hugely valuable. So my own summary is that if you can easily afford (without loans), you have admission to a good university and you are not considering a job in India immediately after your education – and you think you will be able to handle vast cultural differences – then go for it. If the answer to any of the conditions is in the negative, enrol ino an IIT. A comparison of IITs with other institutes within India is really about the specific interests that you have, which may be satisfied more by a non-IIT institute than an IIT. If you want to study a combination of mathematics and computing, for example, most IITs would offer this through their mathematics department and even CS courses will be taught by math faculty (but do check each program, there is a lot of variation) – and CMI does a fantastic job of offering such a program. But at CMI, math faculty teach math courses and CS faculty teach CS courses. A few alumni of CMI that I know have been extremely happy with their experience. In case of science programs, IITs force you to choose the program at the time of admission and a change of program is very difficult. The IISc and IISERs give you a broad-based education and offer flexibility. 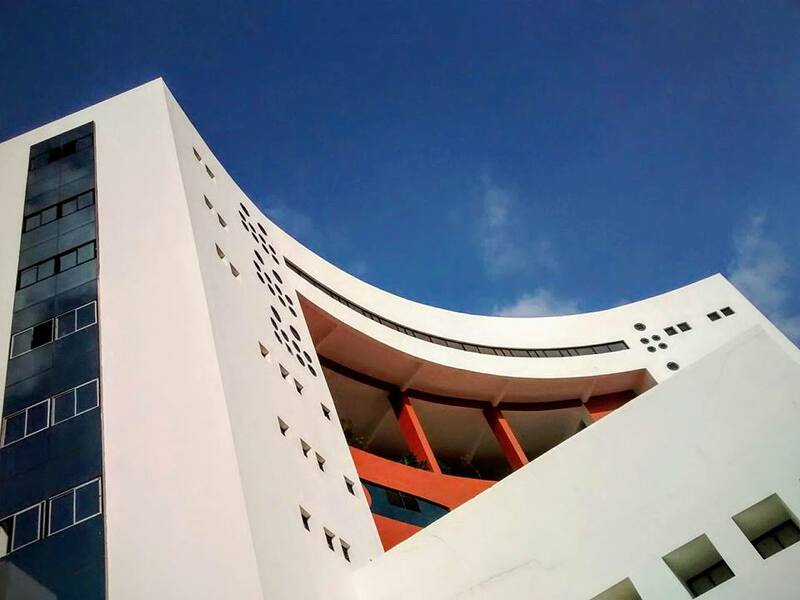 Programs like information technology and social science (as well as computer science and design) in IIIT Delhi offer you a unique combination not available anywhere else in the country. So, if you are one of those few students who know what they want to study, then you must select the best place to study that discipline – or a combination of disciplines – without worrying about the IIT tag. Yes, a membership of the Alumni Association is valuable – but not to the extent that you kill your passion for it. This article was originally published on Dheeraj Sanghi’s blog has been republished here with permission. Sanghi is a professor in the computer science department at IIT Kanpur.